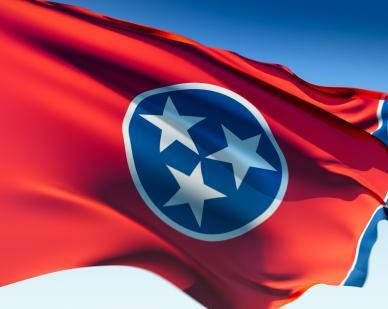 LAUNCH TENNESSEE has had its share of wobbly years since it was created in 1997 by enactment of State law and then launched under its formal name, Tennessee Technology Development Corporation (TTDC). 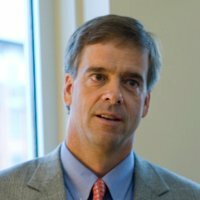 Twenty years into its mission, the nonprofit organization that serves as an agency and virtual subsidiary of its sponsoring agency, Tennessee Department of Economic and Community Development (ECD), has become a hefty, managerially stable platform for tech-centric economic development and entrepreneurism, and it is looking to expand further. Instead, come July 1 and the start of FY17-18, LaunchTN could find itself in straitened circumstances, relative to its robust set of objectives. Unless LaunchTN and its supporters within and beyond government manage to get their request for additional funding into the State's budget for 2017-18, LaunchTN estimates it may need to cut by 40% the funding it provides the state's six regional accelerators and its "creative communities" network, while dropping plans to expand support of technology commercialization. Though Gov. Bill Haslam and LaunchTN CEO Charlie Brock have said they think Tennessee is making gains in commercialization, Brock last week told his board of directors that "Tennessee continues to be a bottom quartile performer in commercialization," a portion of LaunchTN's mission for which Brock expressed increased personal excitement. By the way, none of this is likely to deter Launch Tennessee in its previously reported pursuit of Administration and legislative support for revising its charter. Nor does it seem likely to hamper LaunchTN as it seeks freedom to use proceeds from the INCITE Co-investment fund it has administered, using nearly $30MM in funding provided via a U.S. Treasury program. LaunchTN seeks agreement via ECD to use INCITE proceeds that now total about $1.7MM to create Launch Tennessee Seed Fund I, to invest in early-stage technology and life-science startups. Details of the Seed Fund proposal are here. Among other things, LaunchTN will also continue to support the state's recently inaugurated Angel Tax Credit program, which on March 15 had logged "19 approved companies, 19 total investments into 9 different companies representing $1.39m in new investment and $463,333 in approved credits to date," according to John Lanahan, director of capital formation. Brock and his team have been positioning for months to further leverage recent years' programmatic gains, mitigate expected losses of some federal funds and expand or otherwise increase the value of its statewide programs. With that in mind, LaunchTN set out to secure just over $4MM via Gov. Bill Haslam's FY17-18 budget, to cover expanded operational and program support and to provide selectively state matching dollars for Tennessee companies that receive federal SBIR-STTR innovation and tech transfer grants. However, it recently became clear that LaunchTN would instead be allotted $2.8MM in the Governor's proposed budget for FY17-18. Last November, ECD proposed in a budget-drafting session with Gov. Bill Haslam to reduce its overall FY17-18 budget to roughly $208MM, down $8MM from FY2016-17. At a Special Called conference-call meeting of the LaunchTN board March 16, ECD COO Ted Townsend assured the board that ECD and LaunchTN management were on the same page regarding priorities, adding that while "we will not get out ahead of the governor," LaunchTN supporters may still find there may still be "discussions to be had" with legislators, the latter comment apparently directed toward, among others, Sen. Mark Norris, Republican Leader, who attended the call in his role as a member of the board. Those comments from Townsend followed concerns expressed by several board members regarding failure to improve funding. Director Jim Phillips, who is chairman and CEO of Arkansas-based Nanomech, said the prospect of better funding "just vaporized," and asked whether there'd been adequate preparatory work on the matter with targeted decision-makers. "I'm really surprised the state would underfund this or not fund it," he said with reference to program improvements. Director Bruce Doeg, an attorney with Baker Donelson, expressed particular disappointment regarding funding for accelerators, noting that in his view funding had thus far brought surviving accelerators "so close to really breaking through" to producing new economic gains. At another point, Doeg said he believes management and board have "questioned hard" LaunchTN budget requirements, resulting in valuable programs. 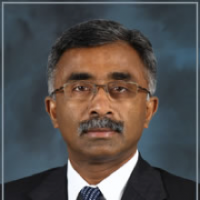 Thomas Zacharia, PhD, a board member and deputy director of science and technology at Oak Ridge National Laboratory, noted that synergies seem likey between Launch Tennessee's planned initiatives and initiatives of east Tennessee organizations such as Innovation Crossroads at ORNL and the (Gov. Phil) Bredesen Center for Interdisciplinary Research and Graduate Education at the University of Tennessee. Background: LaunchTN has projected $4.3MM in revenue for FY17-18, according to a General Assembly Fiscal Review Committee Fiscal Note, dated Feb. 12. In FY15-16, LaunchTN's revenue was $817.4K, according to that Note. Eight weeks ago, entering its annual push to fund and execute the flagship 36|86 Conference set for June 4-6, LaunchTN management reported to the TTDC board of directors that 36|86 expenditures budgeted at $425K were ontrack, while cyclically backloaded ticket and sponsorship sales were respectively at 10% and 23% of the nonprofit's goal for the year ending June 30. LaunchTN projects 1,100 attendees for 36|86. Even so, the timing of the event and late-arriving revenue seem to create a lump in the throats of its staff, each year. Moreover, revenue associated with 36|86 represents a large portion of the $1MM independent fundraising ECD expects LaunchTN to do each year, a goal the nonprofit has yet to meet, when reallocated carryover funds are excluded. 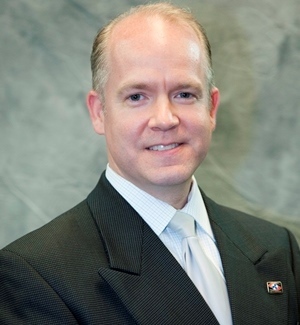 With next next year's budget uncertain, and with new Board Chairman and ECD Commissioner Bob Rolfe in the saddle, the board also began a previously discussed effort to increase board member engagement and assistance in contributing or recruiting resources for the organization.